The Kremlin's attitude towards the reconstruction of Syria -- which Russian forces helped destroy by indiscriminately bombarding Syrian opposition forces -- is in stark contrast to Western coalition efforts, independent research shows. Russian Defence Minister Sergei Shoigu proposed having Commonwealth of Independent States (CIS) members -- including former Soviet republics in Central Asia -- help rebuild Syria. Mine clearance, joint patrols and humanitarian aid are some of the ways the other CIS members can help, he said June 6 during a session of the CIS Defence Ministers' Council in Kyzyl, Russia. "We count on your support, which would demonstrate our unity in the fight against international terrorism and ensuring common security," he said according to the Russian Defence Ministry. The only CIS member fighting in Syria is Russia. Shoigu's call for CIS members' assistance comes more than a year after Russian Deputy Foreign Minister Mikhail Bogdanov explicitly said his country would not pay to help rebuild Syria. Bogdanov gave his intransigent statement to European Union (EU) ambassadors in Moscow in February 2017, according to the Financial Times. "Tens of billions of dollars" will be needed for reconstruction efforts in Syria, he said, adding that "nothing" should be expected from Russia, according to diplomats in attendance. "[Russia goes] in, they mess it all up, they break everything and want everyone to pay for it," one European diplomat said. Shoigu's and Bogdanov's contentions indicate that Russia expects all the other CIS members -- as well as the rest of the world -- to pay for rebuilding what Russian forces have helped destroy. Central Asian political analysts have vehemently criticised Russia's self-serving calls for reconstruction funds. "This is not the first time Russia has called on Central Asian countries and Kazakhstan in particular to [engage in] questionable actions at the international level," Islam Kurayev, a political analyst in Almaty, Kazakhstan, told Caravanserai. "However, Kazakhstan is a sovereign state that does not owe anything to anyone," he said. "The fact that an official from another country ... is imposing an initiative on us is unacceptable. 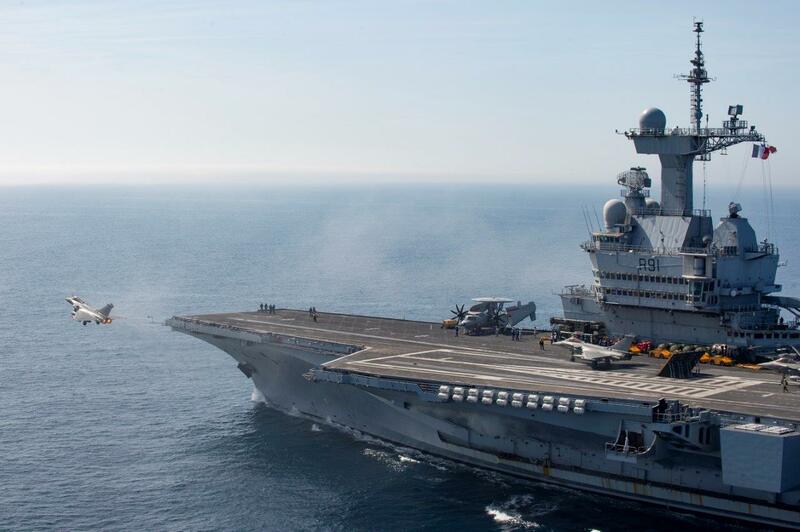 After all, Russia first and foremost defends its own geopolitical interests [in Syria]." Russia's support for the regime of Syrian dictator Bashar al-Assad is reason enough to be wary about funding reconstruction efforts, said Askat Dukenbayev, a political analyst in Bishkek, Kyrgyzstan. "If some private companies from Kyrgyzstan show interest [Shoigu's appeal for funding], then that's their business, even if they will fall under US sanctions," he told Caravanserai. "But Kyrgyz government agencies should abstain until peace comes to Syria, which is possible only after Bashar al-Assad leaves." Prague-based Tajik political analyst Nurmukhammad Kholzoda also urged caution. "Any participation by Tajikistan in any coalition, even if [meant to repair] the consequences of a war, must take place under the auspices of international organisations and on the basis of decisions by international bodies that have the appropriate powers," he told Caravanserai. "Tajikistan doesn't possess great technical abilities or money to spare," he said. "The country itself depends on [foreign] grants, loans and humanitarian aid." "Peace has yet to come to Syria, and Russia's own allies lack a common understanding," Karimjon Akhmedov, a former Tajik deputy economy minister, told Caravanserai. "Wouldn't it be better [for Tajikistan] to participate in stabilising Afghanistan?" he asked. Stabilising Afghanistan is also a priority for Uzbekistan, said Uzbek political analyst Umid Asatullayev. "During the last meeting between [Uzbek President Shavkat Mirziyoyev] and [US President Donald Trump, [they] set clear points: Uzbekistan's priority is rebuilding Afghanistan, and that is where all efforts will be directed," he told Caravanserai. "I'm not sure that anyone in Uzbekistan will want to support the Syrian regime of al-Assad," Abdurasul Samandarov, 28, of Tashkent, told Caravanserai. "He has waged a civil war for so many years against his own people, thanks to which the ['Islamic State' (IS)] was formed. Its militants now threaten us from Afghanistan and are trying to infiltrate Uzbekistan." "We must not send any aid until a Syrian government that satisfies all of [Syria's] inhabitants is formed," he said. While air strikes have gone up 150% since Russia intervened in the conflict in 2015, only 14% of those air strikes have hit IS targets -- in contrast to Russia's claims of predominantly targeting the international terrorist group, IHS Jane's Terrorism and Insurgency Centre reported May 15. The strikes were "particularly concentrated in areas where the Islamic State had little or no operational presence", the report said. Russian bombs have pounded hospitals and other prohibited civilian targets in the all-consuming desire to wipe out opposition to al-Assad, according to the Syrian Observatory for Human Rights, Doctors Without Borders, Amnesty International and numerous other NGOs. In 2017, there were 112 verified attacks on health facilities in Syria, Middle East Monitor reported. The attacks killed 73 civilians and injured 149, according to the United Nations. Meanwhile, in the first six months of 2018, the Syrian regime and its Russian allies have attacked hospitals 92 times, killing 89 people and wounding 135, according to Farhan Haq, spokesman for the UN secretary-general. The Kremlin has never paid compensation and has always said that its bombings kill only terrorists or their sympathisers. That obstinacy was embodied in remarks by Russian Ambassador to the EU Vladimir Chizhov to the German TV station ARD in April. Asked why Europe should pay for damage caused by Russian bombs, Chizhov denied that his country's warplanes had struck any hospitals. "The only buildings that were [Russian] targets ... belonged to terrorist organisations," he insisted. As Russian troops and planes have been laying waste to opposition-held regions in Syria and have offered no protection for civilians, the United States -- the largest contributor to the western coalition against IS -- is taking a very different approach. "The United States is the largest single country humanitarian donor for the Syrian response ... providing nearly $7.7 billion since the start of the crisis in that country," Deputy US Secretary of State John Sullivan said March 22 in Washington. "Each month, this assistance helps Syrians in every governorate, in addition to the over five and a half million Syrians in neighbouring countries," he said. The US military also has taken stringent efforts to protect civilians in its operations against IS militants in Syria. "We continue to conduct our strikes in a manner that minimises their impact on civilian populations ... and we are committed to transparency in reporting when civilian casualties unintentionally occur as a result of our strikes," the US-led coalition said in June. 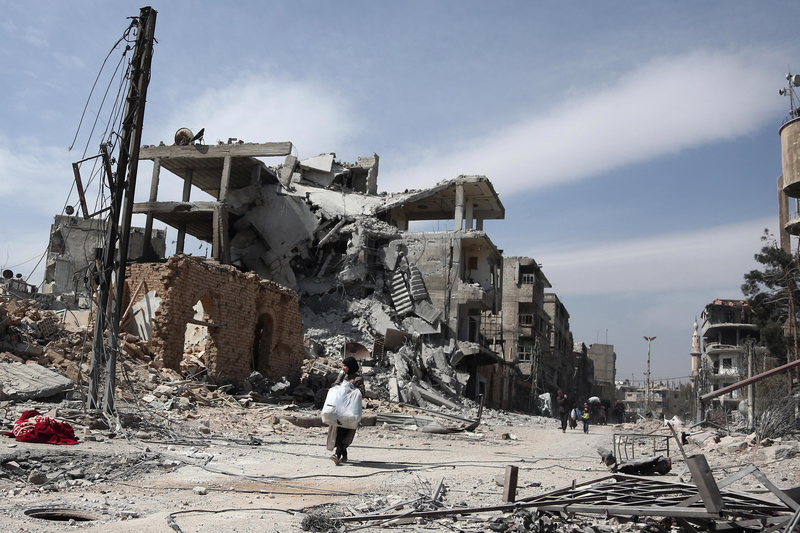 The statement came in response to a June 5 Amnesty International report on civilian deaths during operations to take back al-Raqa, IS's self-declared capital in Syria. "The reality in Iraq and Syria is that we are fighting an enemy that does not abide by any laws, norms or human concerns," the coalition said, adding that it makes "rigorous efforts and intelligence gathering ... before any strike to effectively destroy [IS] while minimising harm on civilian populations". 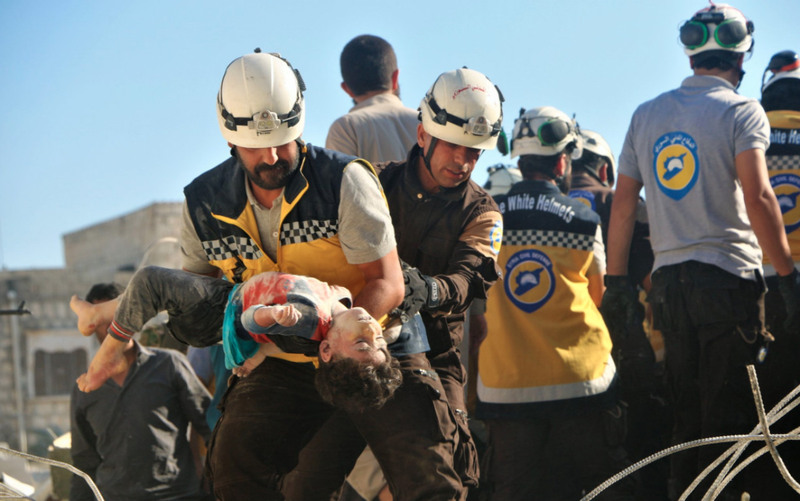 How can we help Syrian nation, including children that are facing hard times? The Russian-backed Syrian army has continued to violate the terms of a ceasefire in Eastern Ghouta, where more than 1,300 civilians, a fifth of them children, have been killed in recent weeks. Using similar tactics to those seen in Central Asia, Moscow is attempting to achieve its aims by spreading false information.